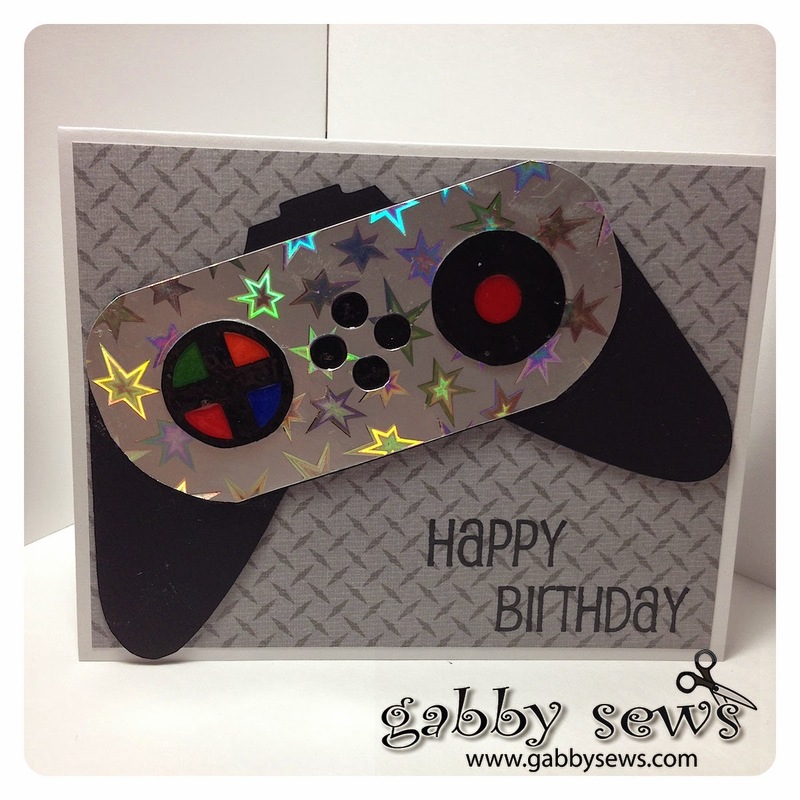 This card was made for another nephew of mine who likes to play video games. I'm sure his games are much more sophisticated than this old Nintendo controller. The controller cut is from the Cricut Wrap It Up Cartridge. Rather than cut out all the colored buttons I backed the top cuts with white paper and then used Copics to color in the correct colors. I then coated each of those pieces with Close to My Heart Liquid Glass. The star holographic paper is from Hot Off the Press. The background paper is from the DCWV Boyhood Stack and the solid card stock is from Core'dinations.